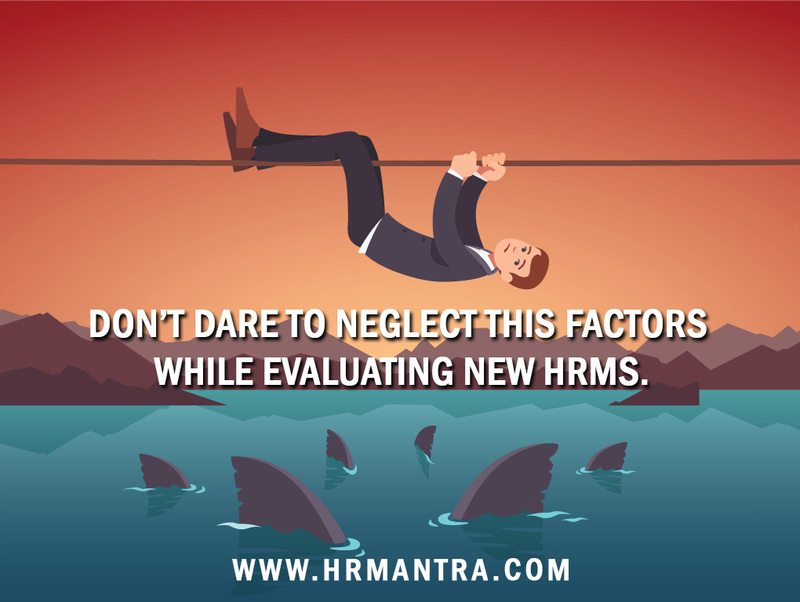 Donâ€™t dare to neglect this factors while evaluating new HRMS. Don't dare to neglect this factors while evaluating new HRMS. To evaluate and choose new HRMS for your organization will be an invigorating and a hectic task. When evaluating new HRMS there are many factors which should be kept under consideration while getting a new system. Apart from budget, adaptability of the new system with the organizational culture and basic stock features required for daily company's task, there are many factors which should be taken care off and many a time decision makers overlook them. New HRMS should be highly flexible to integrate with your existing tools. Integration of other tools with your new HRMS system is always a better option rather than scraping your current tools for the transition of your new HRMS. In many cases, an HRIS is brought in after some HR functions have already been automated using different tools. It is not always necessary or prudent to scrap those systems in order to transition to using just an HRIS; sometimes the best option is to integrate the existing technology with the new HRIS. When you're dealing with HRMS puzzle, selection of correct vendor will be a critical part. A wise selection will be that particular vendor who will help you to solve your problem and will successfully keep running their software for years. HRMS software having a proven track record like HRMantra will always be wise choice than vendors who are new and unstable. As a decision maker, you should do some research to find out the quality of support given to their existing clients. How Long will be implementation processes? 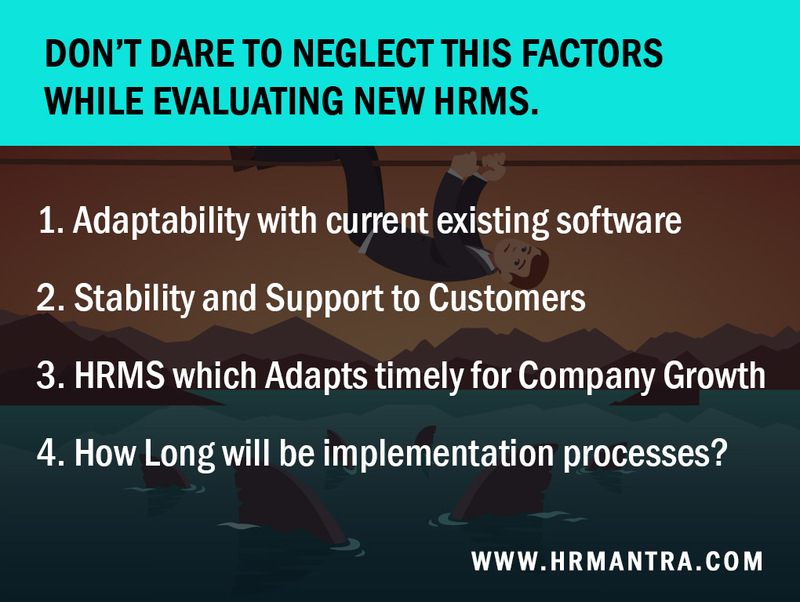 This plays a major role in the HRMS implementation timeframe is a major point which should be taken care of while selecting your new HRMS. Implementation of software differs from company to company. As the complexity of implementation rises the time take for implementation also arises which eventually keep your employees less focus on revenue-driving activities of the organization. As a decision maker, you can always ask for implementation timeframe or even ask for existing clients implementation process for better accuracy to estimate the time period. When you get the estimation of the time period for implementation of different HR systems than you can exactly conclude that how much your company can spare time for HRMS implementation. This will obviously narrow down your option funnel and hopefully will select that HRMS which will successfully meet all your organization needs.